Ally Donnelly is an investigative reporter for NBC Boston. The native of Chicago moved to Boston after college, and has won three Emmy Awards, two Edward R. Murrow Awards and two Gabriel Awards in her career as a journalist, along with two Associated Press awards and a Freddie Award. Ally began her career as a Public Affairs Officer for Children's Hospital in Boston and later moved up the ranks to become editor of WHERE Boston Magazine. She launched her television career at WPRI in Providence, Rhode Island, and began working for necn as a freelance reporter in 1999 before joining the station full time in 2004. Ally has covered everything from the Rhode Island Station nightclub fire to the Catholic Church sexual abuse crisis to the Big Dig tunnel collapse. She also wrote and produced necn's award-winning documentary "The Long Journey Home." She graduated from Marquette University, and lives with her husband and daughter on the South Shore of Boston. 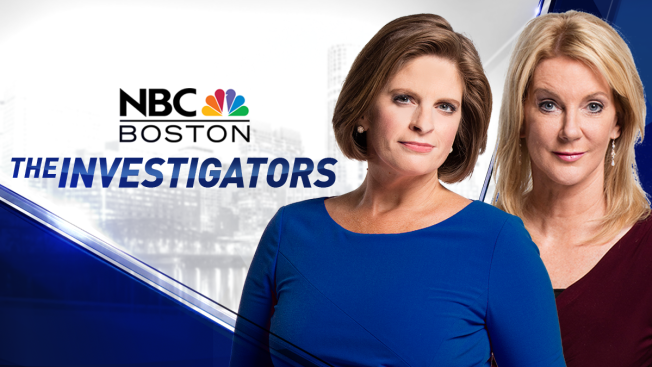 Karen Hensel is an Emmy and Peabody award-winning investigative reporter who joined NBC Boston and necn in July 2016. Karen has covered stories and investigations all over the globe, including covering U.S. troops in Baghdad, Balad and Fallujah in Iraq, going to New York on 9/11, and anti-terrorist training with weapons of mass destruction, such as live VX nerve agent and Sarin gas. While in Iraq, Karen documented concerns about the traumatic brain injuries caused by the blast impact of roadside bombs. The ground-breaking Emmy/Peabody award-winning investigation took her from the halls of Congress to the deserts of Iraq and military hospitals in Germany to uncover why the U.S. Marine Corps failed to adequately protect troops from the roadside bomb injuries which lead to traumatic brain injuries. The investigation prompted the USMC to issue protective helmet padding. Her work into TBI has continued more than a decade, as she was one of the first to investigate concussions in youth sports and to report there was no youth standard for football helmets. Her reporting prompted all schools to be required to report concussions in all sports in Indiana. Karen has prompted national legislation with her investigation into arsenic-tainted wood used to build decks and playgrounds. She has been awarded the highest honor of the Peabody for “Christopher”, the story of an 11-year-old boy who died one summer night and of his parents’ decision to donate his organs. The powerful documentary increased organ donation 500 percent and is used in every high school in Indiana. The award-winning investigation "Bullied: Silent Tears" went undercover to school playgrounds across Central Indiana. Karen showed how recess can be one of the most fearful parts of a school day for children who are bullied. Her investigation prompted statewide changes for every child in Indiana with a new Indiana state law that prohibits school bullying. Her investigation for four years into security breaches within the U.S. Department of Veterans Affairs illustrated the largest security breach in the history of the federal government. Karen and her investigation were both named and cited in the congressional hearings. Her work has been honored with 12 Emmy awards, two Peabody awards, the first Robert Wood Johnson Medical Peabody, national Emmy nomination, many regional Murrow Awards along with RTNDA’S National Edward R. Murrow, Scripps Howard Awards, Gabriel awards, Iris Awards, six Gracie awards, more than a dozen awards from the Society of Professional Journalists, and dozens of Associated Press Awards, including being named Associated Press reporter of the year. She has also been voted twice by co-workers employee of the month and employee of the year.